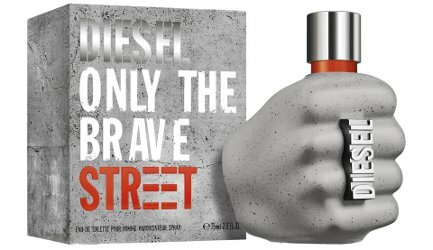 Diesel has launched Only The Brave Street, a new flanker to 2009's Only The Brave. The new fragrance for men by Diesel is a fresh touch in what it means to be brave: start from scratch, dare, dream and stay. Express yourself without limits. The street forges you to become what you want to be. To be a person proud of herself, and at the same time be part of a group. To see life from all possible perspectives. [...] Prepare to take the street. The notes for the aromatic woody fragrance include basil, apple, bergamot, licorice wood, cardamom, vanilla, vetiver and cedar. Diesel Only The Brave Street is available in 50 and 75 ml Eau de Toilette. Ok then. I’d agree, but I guess that’s also what it’s supposed to be. I was about to say that! It’s perfect! A statement knuckle ring! That is one fugly bottle. It’s been bothering me all day. All of their Only The Brave bottles look like this.